DID you watch the film 12 Years A Slave and think ‘ nice threads, dude’? You did. 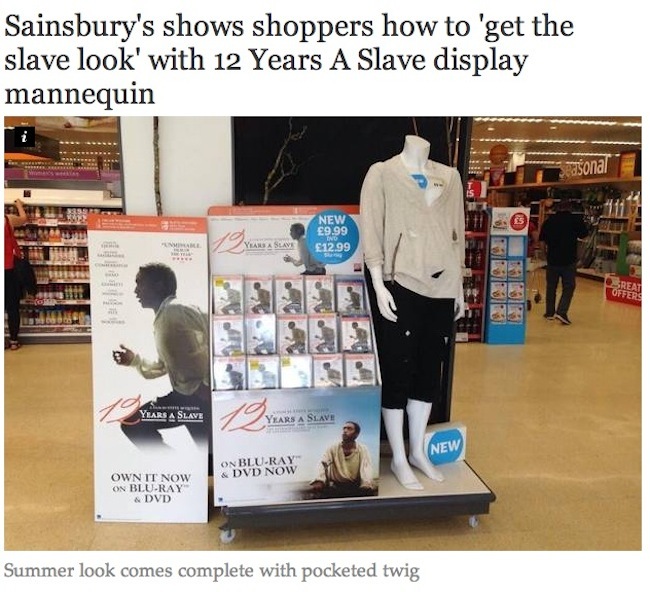 Because someone at Sainsbury’s heard your mind whirring and started offering shoppers the chance to dress like a black slave in the American deep south. You don’t need to be black to get the look. Sure it helps. But we don’t doubt that Sainsbury’s sensitive shop assistants at its Heyford Hill, Oxford, branch can direct you to boot polish section.